If you have a mortgage on a home, the lender will require you to carry a home insurance policy to protect against damage to the home resulting from natural disasters like flooding, thunderstorm, hailstorm, or from theft and fire. As a buyer, you select the home insurance company you want to go with during the escrow process (before the closing). Easily available in the market, home insurance should be treated not as an expense but rather as an investment in your a very important asset, similar to how we approach a health insurance policy. Different insurance companies have different home insurance products to cater to the needs of homeowners. There is no single policy that can be deemed as best for all homes. You need a home insurance policy that provides best coverage to you depending upon the location and size of your home. You should consider removing coverage that you do not need or that does not apply to your case; this will most likely bring down the premium cost of the policy. For example, if the policy provides coverage against flooding but you believe your structure is relatively safe against the danger of flooding, you can get this coverage removed from the policy to pay lesser premium. You can also ask about coverage for a threat that is not included in the standard policy. Remember that your claim history is important for insurance companies. It can play an important role in deciding the premium you end up paying. Opting for high deductibles is one way you can make home insurance more affordable. When I work with buyers, I assist in the home insurance selection decision, and many other important decisions. You can count on me for quality referrals. Think of me if you are looking for smart, attentive real estate advice and guidance. How do home exemptions work? When you purchase a home, if you meet certain conditions, you can qualify for homestead exemption as tax relief. There are numerous property tax exemptions for Illinois taxpayers. Exemptions for homestead, over 65 homestead, disabled homestead, disabled veteran are the most common of them. You must be able to prove ownership of your home, and the special groups mentioned must verify their age, military service, or veteran status. If approved, a homestead exemption may lower the amount of property taxes you pay each year. There are no specific qualifications for the general homestead exemption other than the owner must have ownership interest in the property and use the property as their principal residence. An applicant is required to state that he or she does not claim an exemption on another residence homestead in or outside of Illinois. Be sure to find out if your exemption needs to be filed annually or auto renews. How do you know if you are eligible and how to claim? When you buy a home, it’s important to confirm your current assessment is accurate, so reach out to your local assessor’s office soon after you purchase a home to inquire about this. First-time applicants must have been the occupants of the property as of January 1 of the tax year in question. You can’t claim if you aren’t a primary home owner. Your vacation or rental home doesn’t qualify. Relatives living with you only qualify if they also have ownership on the property. You can protest your property valuation. Learn more about Texas Homestead Exemptions by visiting the Illinois Department of Revenue. My services go beyond buying and selling your home. My goal is to be a year-round source of information for my clients. Let’s talk soon if you have real estate questions! Before you walk, you must crawl. And before you list your home, you must prepare. 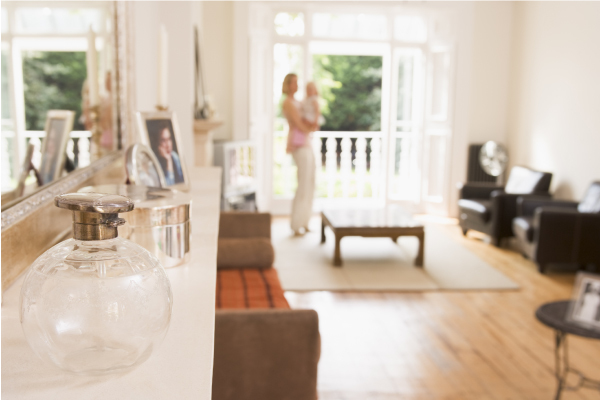 Clean: Make sure clutter is put away and your house in clean before taking pictures or showing your home. You want your property looking its best, and having a clean and organized home to show is one of the easiest ways to impress a buyer. Know your competition: It doesn’t hurt to go to your neighbor’s open house (or browse photos on the web) to see what you’re going up against. Seeing what else buyers have to choose from might change what repairs you make or maybe even your listing price. Get an inspection: A homeowner is required to disclose what they know is wrong with a property. Sometimes, you forget a small repair because you’ve lived with it for so long. Other times, you didn’t realize an item needed repairing. This helps you disclose known issues with your home and can also prepare you for repairs a buyer may ask for. Locate paperwork: Owning a home comes with so much paper! Before listing, locate any manuals, warranties (especially for big items, like foundation and roof replacement) and your survey (if you have one). You don’t want to be tearing your house apart at the last minute looking for paperwork! Talk to a REALTOR®: A REALTOR® understands your market area and has knowledge and experience to sell your home. Look for someone who has recently helped someone buy or sell a home nearby. That way, you know they are familiar with your area. I happen to know a great REALTOR® that has experience in the northwest Chicago suburbs…me! I’d be happy to do a listing presentation that shows you comps (comparable homes that have sold recently), who your active competition would be, and even recommend repairs that will make your home stand out. Call me today to have an easy chat about YOUR needs. Many homeowners considering a move find themselves wondering if there are updates they can make to their home that will contribute to it not only selling for a higher price, but in less time. A valid question for sure; one that deserves some reflection and research. With any project, keep in mind that you must not over invest your time or money. Unique features should not be added immediately prior selling. This includes hot tubs, wine cellars, movie theatres etc. 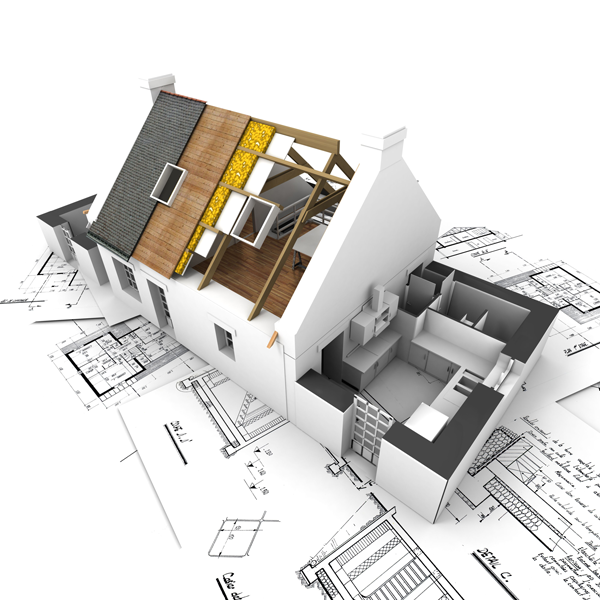 This sort of remodeling is best done when you initially buy a home in order for you and your family to enjoy. A prospective buyer might not consider them necessary. Major kitchen and bathroom renovations are also far too expensive and complicated to undertake. Consider smaller upgrades, like changing an old shower door, a new vanity or the cabinets or counter tops in the kitchen. Adding an extra room or enlarging an existing room is costly. These projects usually entail getting a permit and take months to complete without actually increasing the selling price by enough to recoup the investment. Focus instead on freshening up interior walls, flooring or lighting. Repairing or replacing a leaking roof is inexpensive and improves the overall appearance of a new home. Prospective homebuyers are especially wary of problems with leaking roofs and will make lower offers. Your home’s appearance from the street is what makes the first impression to a prospective buyer. Think about renovating the landscaping of the garden, painting the exterior, or adding a deck. I have construction and rehab knowledge, have counseled clients when making this decision, and aided during their projects. If you are wondering what’s best for you and your home, let’s visit soon. So you are ready to buy a home? Great! If you have not explored your loan options for a home purchase, now is the time to get in touch with a quality lender to help you out. As a REALTOR®, I refer lenders that take the time to explain how a mortgage works and best determine what mortgage product is suited for you based on your situation and the home you want to buy. One of the most commonly asked questions I hear from buyers is “What will my down payment requirement be, and are you aware of any down payment resources? The down payment required can vary from roughly 3% to 20% of the sales price, depending on the type of loan you choose. Down Payment Assistance: There are often more sources for down payment than you might imagine. That's why it's so important to get with a reliable lender. He/she will help you determine if you qaulify for down payment assistance based on your income and credit score(s). The Illinois Housing Development Authority offers a down payment assistance program. I have access to an exciting loan with a grant of up to 5% of the loan amount that may be available, subject to a maximum. * The grant can go towards down payment (no matching requirement) and/or closing costs. The grant is forgiven immediately. Program restrictions apply. Call me today for more details! Checking and Savings Accounts: Your lender will require and review your last two months checking and savings account statements. Retirement Accounts: If you are using funds from a 401(k) or retirement account as part of your down payment, you will be required to document the withdrawal from the account(s). Gifts: Gift funds are allowed on some loan types, depending on your credit score. Typically, gifts are only acceptable if they are from a family memmber. They require a fully completed gift letter that shows the relationaship of the donor. Keep in mind, when applying for a mortgage, there are strich guidelines for documenting the source of the down payment. It is in your best interest to thoroughly discuss all your options, and you down payment sources with your lender PRIOR to enterting into a purchase agreement for a home. I would be happy to put you in touch with one of the few trusted lenders I refer. Reach out anytime if you are thinking of buying and have questions. Text, call or email! As your Chicagoland northwest suburbs REALTOR®, I am here to listen, help you make a plan, and work for your best interests.